HOOQ, Asia’s biggest video-on-demand service, partners with Starz Entertainment this Halloween to bring you the extreme gore of the highly anticipated Ash vs. 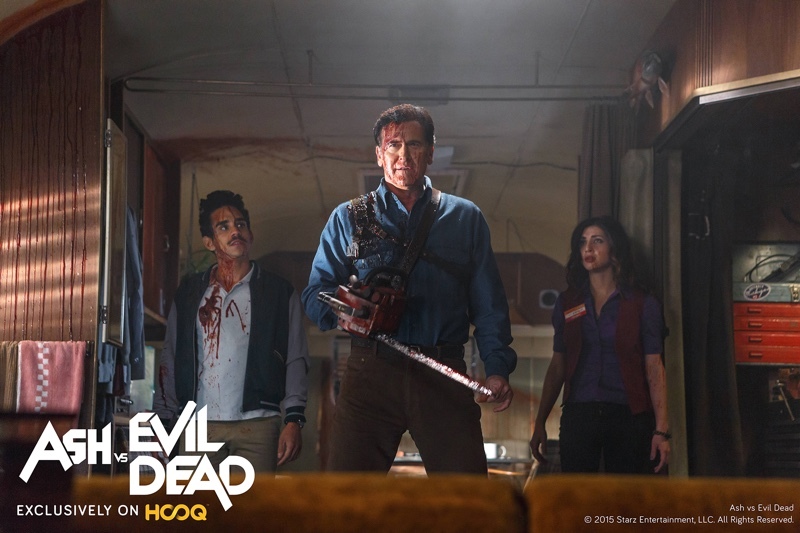 Evil Dead exclusively on HOOQ, ahead of the US, for the first time in Asia. Ash vs. 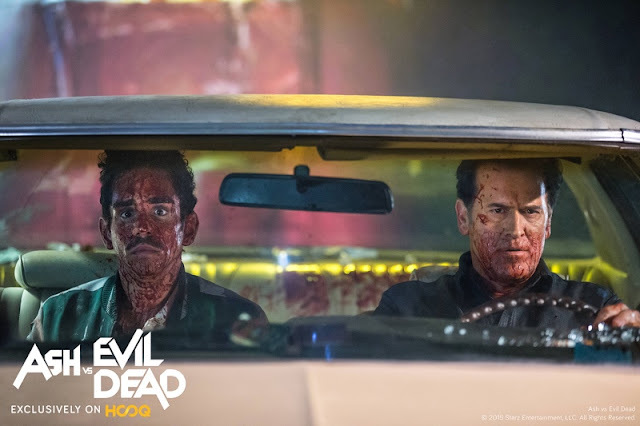 Evil Dead premieres worldwide on 31 Oct and HOOQ will be the first and only platform in Asia to offer the series on the same day as the US. Get ready to indulge in more new and exciting TV series to be available on HOOQ’s diverse and expansive selection of over 30,000 hours of movies and TV series such as hot favorites and award-winning series Gotham, The Flash, Mad Men, Scandal, Rosemary’s Baby, Nashville and awesome action backed superhero blockbusters Thor and Captain America – The First Avenger. “We are very excited to present this Halloween treat to all HOOQ subscribers with Ash vs. Evil Dead on the same day as the US telecast. This modern reboot of the Evil Dead trilogy that defined the zombie genre is just the latest in showstoppers that we are bringing to Asia” said Peter Bithos, Chief Executive Officer of HOOQ. From the creators of the iconic Evil Dead movie trilogy – director Sam Raimi and horror icon Bruce Campbell will come together again to bring back the beloved and celebrated world of Evil Dead for the original television series made for Starz. This series that has critics, horror fans, and film enthusiasts abuzz sees actor Bruce Campbell reprising his role as Ash Williams from the original Evil Dead series as the chainsaw-wielding, monster-shredding slacker. 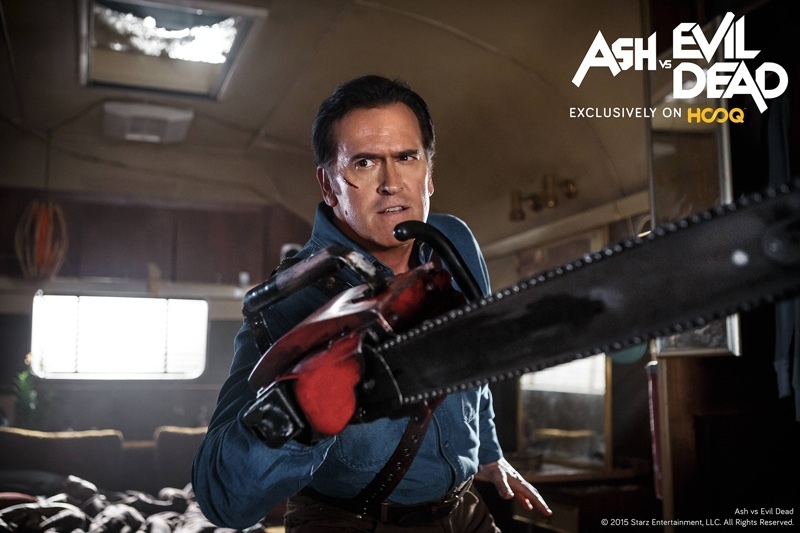 Anti-hero Ash Williams, now somewhat aged but still quick-witted as ever, fights the forces of evil that turn unsuspecting people and inanimate objects into wise-cracking killing machines called Deadites. Ash vs. Evil Dead also features franchise newcomers Lucy Lawless, Mimi Rogers, and Jill Marie Jones. Enjoy “splat-stick” at its finest as the offbeat and endearing characters find themselves in gruesomely hilarious situations with Deadites. You can soon watch Ash vs. Evil Dead and all your favorites on your chosen Internet-enabled device. Simply download the HOOQ app from the Apple Store or Google Play, sign up or log in, and your device is ready to access HOOQ’s library of Hollywood and Pinoy hits. Viewing movies and TV series on HOOQ is made even better with Chromecast support, now available on the iOS and Android apps. Don’t miss this Asia premiere and sign up for a 30-day free trial now on www.HOOQ.tv. Payment methods to continue subscription after 30 days is made easy for Globe users by adding the low monthly fee of P149.00 to your mobile bill by texting HOOQ149 to 8888. Tattoo Home Broadband users can also get HOOQ’d for free on plans P1,299 and up. Users can alternatively pay through credit card. Download the HOOQ app now and catch the trailer of Ash vs. Evil Dead.